For team away days, Whatley Manor is the perfect location to bring teams together to experience interactive and challenging activities that test group communication skills and the ability to overcome obstacles. Set in beautiful surroundings, our country pursuit activities are perfect for team building and entertaining clients. 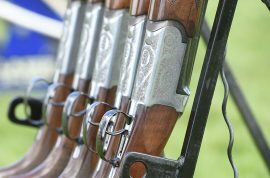 Both quintessentially English and great fun, our country pursuit activities are suitable for a variety of fitness and age levels and can be tailored to suit client objectives. If there is an activity you would like to pursue that is not listed, let us know and we will do our best to make your ideas a reality. 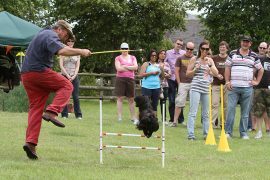 Experience this quintessentially English sport, traditional but so much fun! (Subject to venue). 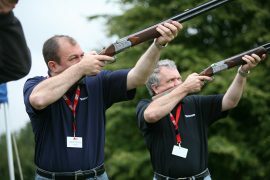 Simulated clay pigeon shooting using electronically converted guns, each hit is recorded on an interactive scoreboard making this a fun and highly competitive game. Suited to those with a steady hand and a level head. This activity is always a favourite which leaves guests with an enormous sense of achievement. Guests will have the opportunity to get up close to these unusual creatures. A high stake race will take place through the pipes, will it be Disco Dave, Mad Max or Tap Dancing Trevor that will take the winners podium! 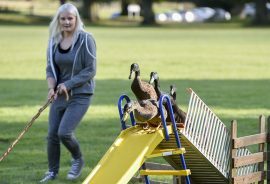 A lively gaggle of ducks and geese have been let loose and well trained border collie is awaiting your instruction to guide them home. Meet a range of breeds such as Labradors, Spaniels, Pointers and Retrievers. See the dogs up close and learn training methods from simple obedience to challenging retrieves. 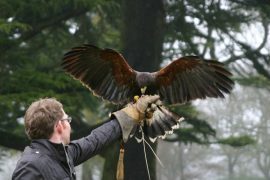 Falconry An introduction to these majestic birds, including the opportunity to get hands on and handle the birds. Learn the delicate art of creating stunning hats and fascinators with a multi-award winning milliner. Surrounded by the inspirational tones of classical music, guests will be immersed into the world of millinery couture. 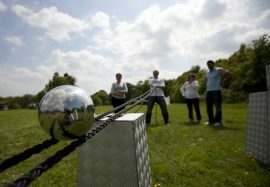 Paying tribute to the famous TV shows the ‘Crystal Maze’ and ‘The Krypton Factor’, the Crystal Challenge is a perfect combination of the two, creating a unique teambuilding experience encouraging Team Collaboration, communication and problem solving.